Depending on what type or style of garden you are looking to create, there are many different types of mulches that you can choose from. 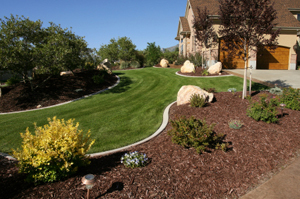 Some home and business owners like the modern look and opt for using stones whereas other New Jersey residents like the traditional look and choose more of a natural mulch like straw. Organic mulch products spread over the surface of the ground and help to reduce the evaporation from the soil as well as enhancing the appearance of your lawn and helping your garden stand out. During summertime, mulch works to keep the surface roots of plants cooler as it lowers the temperature of the soil. Another benefit of using mulch in your Wall lawn is the reduction of weeds. Mulches suppress the growth of weed seeds due to lack of light if they are applied thickly enough. 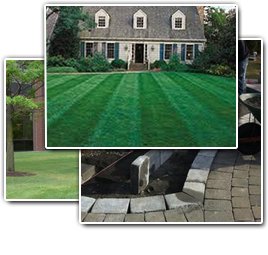 Lawn Pro Lawn & Garden Service is a full service landscaper for all of your lawn care and landscaping services in Wall, New Jersey and surrounding areas. To keep your property well-manicured and landscaped, we use specialized equipment designed for performance and efficiency. If you are looking for Wall Mulching then please call 732-614-6225 or complete our online request form.